Dr. Villarreal offers a metal-free alternative to replacing missing teeth: removable partial dentures. Partial dentures are a great alternative because they consist of pink or gum-colored plastic bases with no use of metals because at BioDental Healing we do not believe any type of metal belongs in the mouth. 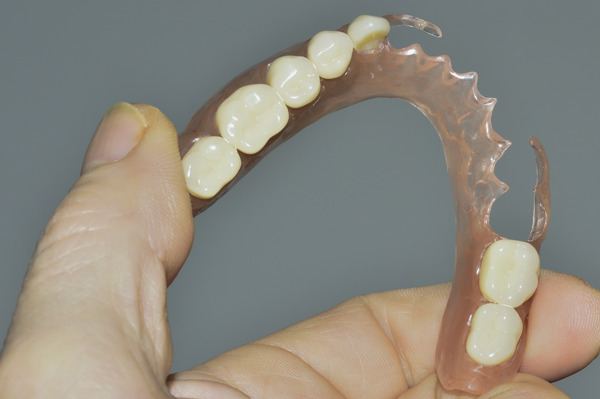 Partial dentures consist of a gum-colored base and natural looking precision attachments or connectors that hold your dentures in place. A dental crown may need to be placed in order to improve the fit of your partial dentures. Follow all instructions given to you by Dr. Villarreal after your procedure is completed. Never force the partial denture into position by biting down – this could bend or break the clasps used to hold them in place. Partial dentures will be uncomfortable at first as your mouth adjusts, but overtime will not be bothersome. 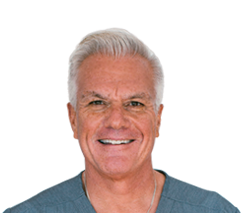 If at all your dentures are applying too much pressure to one area to the point where the area becomes sore, then you will need to have them re-adjusted for a more comfortable fit. Start out eating soft foods with your dentures to prevent unnecessary damage from occurring. Also, practice chewing on both sides of your mouth to evenly distribute the pressure. Avoid hard foods and sticky foods such as ice or gum. You may run into difficulty with speech, this is normal and part of the initial adjustment process. Follow all instructions on denture maintenance set out by Dr. Villarreal in order to keep them in pristine, functional condition at all times. To get started, schedule an appointment with Dr. Villarreal to see if you are a good candidate for removable partial dentures in Newbury Park, CA.